London design company Black & Blum have been busily recreating our lives and one of the latest ways they’ve accomplished this is by recreating the humble water bottle to a joy to behold, faux leather loop and all. Sleek in stainless steel with fluid lines and coloured trim, it looks a little like the old school Thermos from the fifties but it’s so much more. 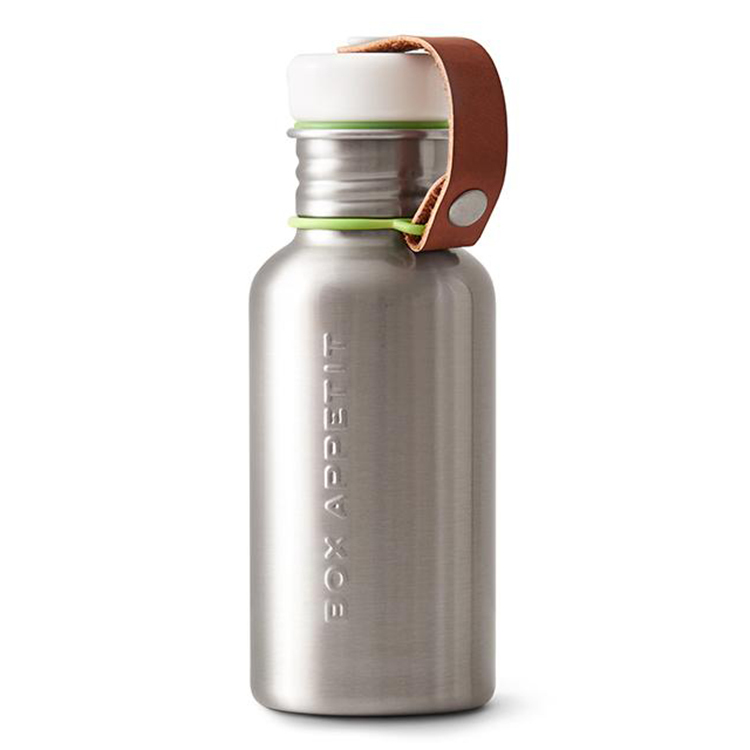 The all stainless steel top is built to last and ensures that your water is only in contact with high quality stainless steel (and food grade silicone at the seal). The strap is a great way to carry your bottle (or hang from your bag). It also acts a retainer for the stopper, so there is no danger of losing it. And with such a sweet piece of equipment, why would you ever want to do that. Large stopper is easy to open and close with a secure seal.